TONOPAH, Nev. — About four hours north of the glitz and glamour of Las Vegas, a gravel road stretches across a dusty plain dotted with cactus and sagebrush, rising toward barren, volcanic hills. James Calaway, a Houston oil and gas man, surveys the empty, sunbaked landscape and sees the next Spindletop gusher. Calaway, however, is not hunting crude. He is among a new breed of wildcatters hoping to cash in on the global shift to clean energy, combing this parched desert in search of lithium — a critical element in batteries that run electric vehicles, power cell phones and store electricity from wind and solar farms. Consider electric vehicles alone: Their numbers on the world’s roads are expected to leap more than 40 times in just over 20 years, to 125 million in 2040 from 3 million in 2017. “Lithium is the oil barrel of the 21st century,” said Andrew Miller, senior analyst for the forecasting firm Benchmark Mineral Intelligence. Just as the 1901 discovery of oil at Spindletop in Southeast Texas launched the modern energy industry, Calaway, 61, is betting that a major find here would help revive the U.S. lithium industry, reshape the global lithium trade and reduce the nation’s dependence on foreign producers, particularly China, Argentina and Chile. Calaway, whose lithium experience includes nearly a decade as chairman of the Australian mining company Orocobre, teamed up two years ago with another Australian company called Ioneer, buying about 6 percent of the stock and becoming chairman. 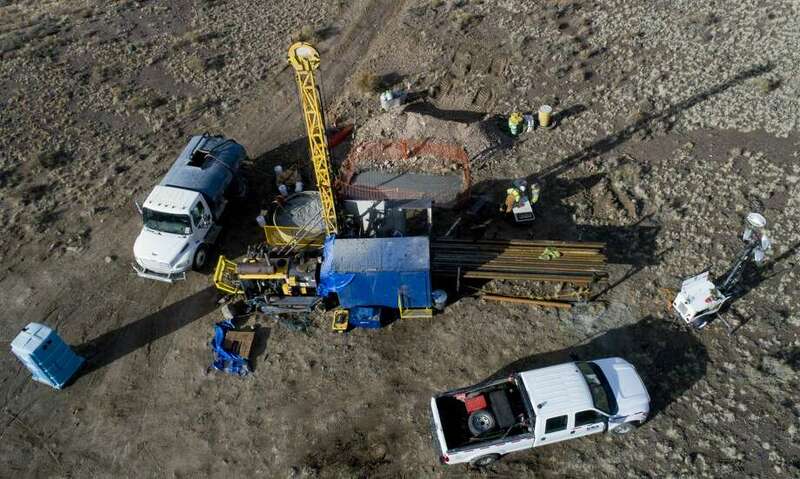 Ioneer has since raised $60 million from 25 institutional investors to drill and develop leased federal land in Nevada, about 10 miles from the nation’s only producing lithium mine. 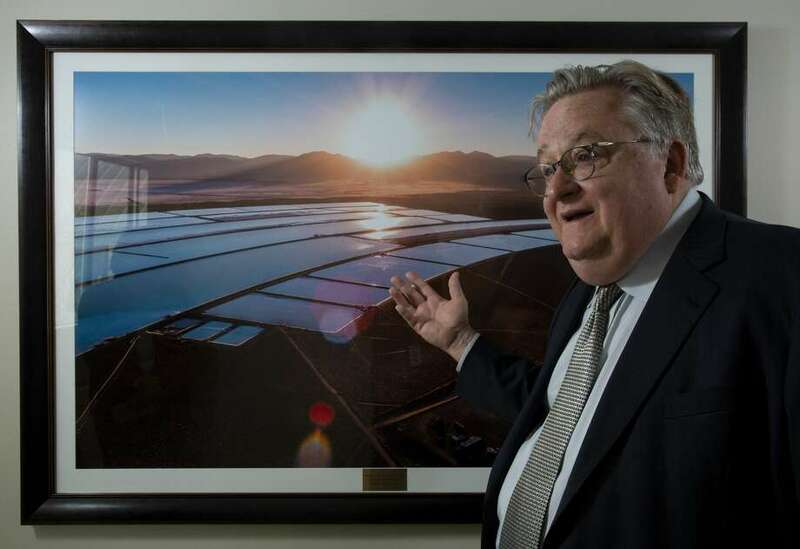 Calaway has some big names behind him, including John Hofmeister, former president of Shell Oil, the U.S. subsidiary of European oil major Royal Dutch Shell. Hofmeister joined Ioneer’s board after he invested about $100,000 in the company, whose stock is selling for about 12 cents a share. A lot depends, however, on a processing technology never used on a commercial scale. The process would target the abundance of rocks here containing both lithium and boron, which is used in smart phones, ceramics and laundry detergents. The idea is to separate the two materials and use revenues from the sale of boron to subsidize lithium production and make it competitive with some of the lowest-cost foreign suppliers. “We’re very bullish,” said Calaway. James Calaway talks about Orocobre Ltd.’s lithium mine in Argentina where he used to be chairman of the company. Calaway is a sixth-generation Texan whose ties to oil run deep enough that his middle name is Derrick. His father, Jim, was a successful wildcatter and his identical twin brother, John, founded the Houston exploration and production company Edge Petroleum. Calaway became president of the company in 1996. The company was eventually sold and Calaway, a serial entrepreneur who started a space exploration company, launched an early Internet company and served as chairman of a software firm, started looking for his next opportunity. He also was seeking some meaning in his life. Calaway said his eureka moment came in the Colorado mountains 12 years ago at the Aspen Ideas Festival, where a panel discussion on electric car propulsion got him thinking about batteries. He began attending battery conventions, talking to battery experts and reading battery publications. The world, he heard over and over again, was heading toward renewable energy and that required lithium batteries. Calaway started looking, putting together a team that included a geologist, hydro-geologist and chemist. They came across some obscure drilling data published by Orocobre, which indicated huge lithium deposits in Argentina. Calaway made a $4 million investment in Orocobre in 2008 and became chairman. The company developed a partnership with Toyota Tsusho Co., the trading arm of the Toyota Group, to sell the plant’s lithium to battery makers. Eventually, Calaway said, the company produced 7 percent of the world’s lithium and 14 percent of battery-grade lithium from a mine located in a desert, some 14,000 feet high in the Andes Mountains. Calaway said he earned more than $40 million from Orocobre. He still owns two-thirds of the shares he bought. Calaway’s passion for lithium is so intense that the license plate on his Lexus SUV says “lith-kg,” short for lithium king. Unsurprisingly, he is an enthusiastic advocate for renewable energy, urging Houston’s civic and corporate leaders to get on board with the green revolution and welcome wind and solar power as warmly as they embrace fossil fuels. He tells executives at the Greater Houston Partnership, where he served on the executive committee, that he wants to run his mining company from Houston, but worries that Houston and Texas don’t care much for batteries and renewable power. “He’s different than anyone else,” said Clint Pasche, a spokesman for the Greater Houston Partnership. John Gibson, former president of Halliburton Energy Services, a subsidiary of the oilfield services company, has known Calaway since the mid-1990s when Gibson was leading product development at Landmark Graphics, a developer of seismic imaging for oil and gas drilling. Calaway, then president of Edge Petroleum, experimented with emerging technologies such as virtual reality, and became an early adopter of software the company created to improve mapping of underground oil and gas deposits. Matt Weaver, senior vice president of engineering and operations at Ioneer, holds a rock that contains lithium in Esmeralda County. Rhyolite Ridge is a 630-acre swatch of land at an elevation of 8,500 feet in this desolate part of Nevada, where, for 150 years, prospectors have hunted for gold and silver. A big silver find put Tonopah, a town of 2,500, on the map about a century ago. Today, Tonopah is the jumping off spot for lithium prospectors, much like cities in California that served as bases of operations for miners during the 1849 gold rush. Worldwide, the biggest deposits of lithium are in Argentina, with an estimated 9.8 million metric tons, followed by Bolivia with 9 million and Chile with 8.4 million, according to the U.S. Geological Survey. The United States has about 6.8 million metric tons of estimated lithium deposits in states including Nevada, North Carolina and Utah. Ioneer figures it sits on 4.1 million metric tons, more than half of the estimated domestic supply. Around Tonopah, Ioneer has become the biggest thing in years, said retiree Martha Johnson who lives in nearby Dyer, a town of 260. Drillers hired by Ioneer to take samples are talking up the project when they come into town for supplies. Newspaper accounts say about 250 workers will be needed to run the mining operation and hundreds more to build it. Already, Ioneer drillers are renting rooms in town. Johnson said she recommended to her three adult children to get in on the ground floor when Ioneer was selling for 14 cents a share. Demand for lithium seems insatiable from companies such as Tesla whose factory, four hours north near Reno, assembles lithium ion batteries for its electric vehicles. She might wager $100 on the stock herself. “It’s like Apple years ago,” she said. Ioneer has hired drilling contractors that operate around the clock, extracting core samples. The mine and processing plant will take up 630 acres. Calaway retired from Orocobre in 2016. Running a successful company and looking for incremental improvements in operations held little appeal for him. It was time for another grand idea. Two years ago, Calaway got an unexpected call from an Australian who said he might have found something special in the hills of southern Nevada. Bernard Rowe, managing director of the company that would become Ioneer, told Calaway about a mining company that drilled federal land in the 1980s and found lithium and boron. Lithium then was a niche industry, used mostly for ceramics and high temperature glass, and the mining company let the lease expire. Later, another company looking for lithium passed on the project because it wasn’t interested in boron. 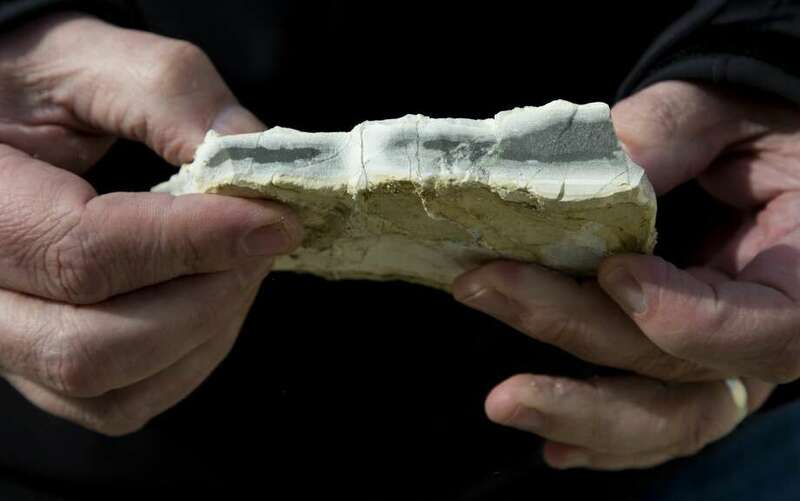 Calaway hired his own expert, a process engineer specializing in lithium, and spent six months investigating the reserves, studying core samples taken from the ground and testing ways to remove lithium from the rock. Calaway signed on as chairman. The magic, according to Calaway, came when Ioneer figured out a process using sulfuric acid to separate the lithium and boron. Not only was the market for lithium growing, but so was demand for boron. Market research firm QY Research estimates boron sales will grow by 4.5 percent each year until 2025. Ioneer estimates that it has 11.3 million tons of boric acid, a deposit so big Calaway says it represents more than 10 percent of the world’s supply. Lithium production should generate about 22,000 tons each year which, if the plant were producing today, would represent about 10 percent of global production, he said. “We put the puzzle together,” said Calaway, who, according to financial reports, owns 31.6 million shares of Ioneer valued around $3.8 million. He also has 40 million options. Since August, drillers have worked two shifts a day at three sites along Rhyolite Ridge. Samples from as deep as 1,000 feet have been hauled back to a former motorcycle repair shop in Tonopah, where a group of geologists study them for lithium and boron. The Texas engineering and construction company Fluor Corp. is designing a process for Calaway’s company to transport the ore, crush it, load it into big vats and soak it with sulfuric acid to begin separating lithium and boron. The two minerals would then go to a yet-to-be-constructed plant for further processing and purification. But a plunge in lithium prices, from about $25,000 a ton in mid-2017 to about $11,000 a ton today, is creating challenges for companies like Ioneer. The growing demand for lithium has spurred rapid expansion of lithium mines and supplies, said Jon Hykawy, president of Stormcrow Capital, a Toronto company that forecasts prices and supplies of minerals. At $11,000 a ton, prices are still healthy, said Hykawy, but investors could close their checkbooks if they begin to worry about a glut of lithium. Ioneer expects to decide whether to give the final go-ahead to develop the mine at the end of the year. Construction would start early next year with production beginning around mid-2021. It can’t come fast enough for one resident of nearby Silver Peak, population 107, where roads aren’t paved, abandoned vehicles dominate the landscape and double-wide trailers are the choicest of accommodations. Tonopah, Nevada is the closest place to the Ioneer site, currently booming with new solar, gold, and lithium mines. L.M. Sixel writes about power and renewables for the Houston Chronicle. Follow her on Twitter at @lmsixel. Reach her by email at lynn.sixel@chron.com.